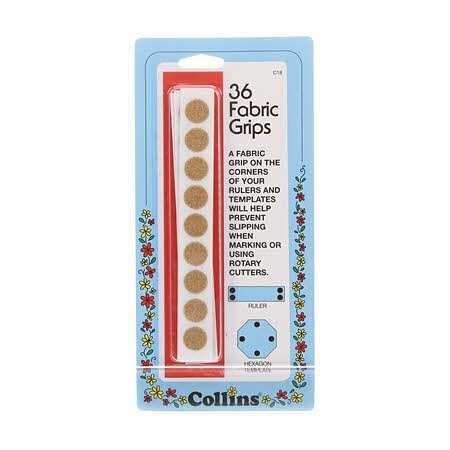 36ct small, fine, adhesive sandpaper circles. Applied to the corners of rulers to hold firmly in place when rotary cutting. Also hold templates when marking seam allowances on fabric.